Why not do it "Island Style?" 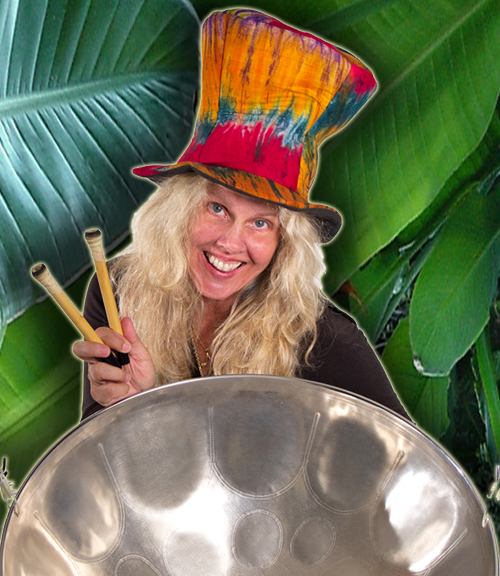 Feel like you’re on vacation – let the sound of the live steel drums take you away! Working as a soloist (using top-quality authentic backing tracks created by JR Crawford) or with our band (see Pan-A-Cea Steel Drum and Calypso Band at www.steeldrumband.net). Available for your wedding, reunion, corporate event, beach party, restaurant, concert, private party, shower, fund raiser, holiday party or just about anything else. No power? No problem, just let me know!